Martina Anderson is a Member of the European Parliament (MEP) representing Northern Ireland for Sinn Féin. She became involved in the Irish Republican movement in the late 1970s. She was a Member of the Legislative Assembly of Northern Ireland from 2007 to 2012, representing Foyle. She served in the Northern Ireland Executive as a Junior Minister at the Office of the First Minister and Deputy First Minister from 2011 to 2012. In 2012 she became a Member of the European Parliament, and she was reelected in the 2014 election. Professor Andrew Canessa is the Head of the Department of Sociology, University of Essex. He trained as a social anthropologist and has conducted extensive field research in highland Bolivia among an Aymara-speaking people. Andrew is currently finishing an ESRC funded project Bordering on Britishness: An Oral History Study of Gibraltarian Identity which explores through almost 400 interviews how Gibraltar evolved from an overwhelmining Spanish speaking in the beginning of the 20th century to one which is increasingly anglophone and where most people passionately reject any association with Spanishness. Sir Robert Francis Cooper KCMG MVO is a British diplomat. He is also a member of the European Council on Foreign Relations and is an acclaimed writer on international relations. As a diplomat, he has worked at various British Embassies abroad, notably those in Tokyo and Bonn. At the Foreign Office, he was Head of the Policy Planning Staff from 1989 to 1993. He was the UK's Special Representative in Afghanistan until mid-2002. In 2002 he began to work for the European Union (EU). He assumed the role of Director-General for External and Politico-Military Affairs at the General Secretariat of the Council of the European Union. In that role, he was responsible to Javier Solana, the former High Representative of the EU's Common Foreign and Security Policy, and has assisted with the implementation of European strategic, security and defence policy. After the Treaty of Lisbon's shake up of EU foreign policy structures, and Solana's replacement by Catherine Ashton, Cooper sat on the steering committee which drew up the proposals for the new European External Action Service (EEAS). After the EEAS, the EU's foreign service, was formally established in December 2010 Cooper was made an EEAS "Counsellor". Subsequently he was released from the EEAS, but appointed as a Special Adviser to the Vice-President of the European Commission Catherine Ashton, primarily with regard to Myanmar, from April 2013 to March 2014. Katy Hayward, PhD, is Reader in Sociology at Queen’s University Belfast. 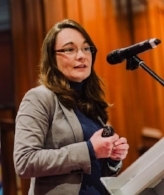 She has 20 years’ research experience on the impact of the EU on the Irish border and peace process, including as part of the EU FP5 EUBorderConf [EU and border conflicts] project and the current SSHRC-funded ‘Borders in Globalization’ programme. She is the author of over 100 publications, including Bordering on Brexit (2017), Dynamics of Political Change in Ireland (2017), and Irish Nationalism and European Integration (2009). Outside the University, she is a Board Member of the Centre for Cross Border Studies and Conciliation Resources. Victoria is counsel to the Legatum Institute Special Trade Commission where she has written papers on the implications of Brexit for financial services, movement of goods and the Irish border. She spent 10 years in private practice advising banks and financial institutions on technology, outsourcing and fintech. She has an LLB from University College London. Victoria together with Shanker Singham, Austen Morgan and Alice Brooks have recently authored the Report 'Mutual Interest: How the UK and EU can resolve the Irish border issue after Brexit' published by the Legatum Institute. A technical note to the Report can be found here. 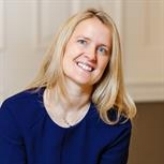 Dr Kirsty Hughes is the Director of the Scottish Centre on European Relations. She is a researcher, writer and commentator on European politics and policy. She has worked at a number of leading European thinktanks including as Senior Fellow at Friends of Europe, Brussels; Senior Fellow, Centre for European Policy Studies; Director, European Programme, Chatham House; Senior Fellow, Policy Studies Institute, and Research Fellow, WZB Berlin Social Science Centre. She has published extensively, including books, reports, and policy papers, as well as contributing to a wide range of national and international media outlets. Her research focus has included: the UK, Scotland and Brexit, EU democracy, the politics of the Eurozone crisis, the EU enlargement to central and eastern Europe, and Turkey’s EU accession process. Professor Kassim, is Professor of Politics at the School of Political, Social and International Studies and Political Science Mentor of the ESRC Centre for Competition Policy at the University of East Anglia and a Senior Fellow under the ESRC ‘UK in a Changing Europe’ initiative. In his research, Professor Kassim investigates EU institutions, the relationship between the EU and the member states, especially the UK and ‘Europe’, and EU policy in competition and aviation, on which topics he has published widely. He has been awarded grants by the British Academy, the Nuffield Foundation, and the ESRC, which funded 'The European Commission in Question', the main findings of which are presented in The European Commission of the Twenty-First Century, published by Oxford University Press in 2013. George Kyris is Lecturer and Leverhulme Early Career Fellow at the Department of Political Science and International Studies, University of Birmingham. Previous affiliations include the LSE and the Universities of Warwick and Manchester, where he completed his PhD. His main research interests are international conflict, unrecognised states, separatism and international organisations, the European Union, and debates on sovereignty. His research has been published in his monograph on EU and unrecognised states and journals such as the Journal of Common Market Studies and the British Journal of Politics and International Relations. 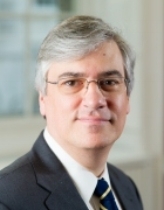 Michael Llamas QC read law at Sussex University (BA), King’s College, London (LLM) and La Sorbonne (DEA). Called to the Bar England & Wales (1990) and to the Paris and Gibraltar Bars (1994). In 1997, he became EU Legal Counsel to the Gibraltar Government based in Brussels. In 2007, he returned to Gibraltar to become Chief Legal Advisor to the Government’s EU and International Department. He was appointed Silk in 2012 and Attorney General in 2015. He has specialised in EU law throughout his professional life. He is intrinsically involved in advising the Gibraltar Government on the impact of Brexit in Gibraltar. Professor Neophytos Loizides is the author of The Politics of Majority Nationalism: Framing Peace, Stalemates, and Crises published by Stanford University Press (2015) and Designing Peace: Cyprus and Institutional Innovations in Divided Societies published by the University of Pennsylvania Press (2016). He is also the co-author of Mediating Power-Sharing: Devolution and Consociationalism in Deeply Divided Societies to be published by Routledge (Jan. 2018 with Feargal Cochrane and Thibaud Bodson) comparing post-Brexit referendum Northern Ireland, the Brussels Capital Region and Cyprus. Professor Loizides has authored more than thirty academic articles and book chapters in the areas of power-sharing, forced migration, and conflict regulation including most recently work published in the European Journal of Political Research, the International Journal of Constitutional Law, Comparative Politics, International Migration and the Journal of Refugee Studies. His work is currently funded by the British Academy, the Economic and Social Research Council, and the United States Institute for Peace. Stelios Makriyiannis is Brexit Coordinator at the Permanent Representation of Cyprus to the EU. Stelios began his diplomatic career in 2003, working initially on Latin America and then on Asia. In 2006-2010 he served as Deputy at the Embassy of Cyprus to France. At the Mission of Cyprus to the UN (New York, 2010-2014), he was mainly responsible for human rights and social issues, Back in Nicosia (2014-2017), he worked mostly on Counterterrorism and CSDP. 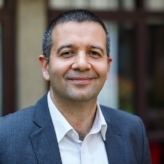 Stelios holds a Bachelor’s Degree from the LSE (UK), a Master’s Degree from City University Business School (UK) and an MBA from Concordia University (Canada). Dr Austen Morgan is a barrister in London and Belfast. He writes on the UK constitution: www.austenmorgan.com. He is the author of: The Belfast Agreement: a practical legal analysis (London, 2000); and Tony Blair and the IRA: the ‘on the runs’ scandal (London, 2016). He has had professional involvement (of different degrees!) in: Northern Ireland; Gibraltar; and Cyprus. Austen voted remain in the 2016 EU referendum. He accepts Brexit. And is bemused by the culture war, in which some politicians collude with the EU in the negotiations. Austen together with Shanker Singham, Victoria Hewson and Alice Brooks have recently authored the Report 'Mutual Interest: How the UK and EU can resolve the Irish border issue after Brexit' published by the Legatum Institute. A technical note to the Report can be found here. Professor John O'Brennan holds the Jean Monnet Chair in European Integration and is Senior Lecturer and Director of the Maynooth Centre for European and Eurasian Studies at Maynooth University. He is the author of a number of books on EU Enlargement and has published widely in academic journals. He also works on Ireland's relationship with the European Union and is currently editing a new volume on Ireland and Brexit for Irish Political Studies (with Mary C. Murphy) and writing a chapter for the Oxford Handbok of Irish Politics. In addition he is one of the most frequent contributors to print and broadcast media on European integration issues in Ireland. Katie is a barrister at Doughty Street Chambers. She has a broad practice specialising in international law, human rights, public law and extradition. She has been instructed as junior counsel in the Supreme Court, Court of Appeal and in public inquiries. She has represented individual and state clients before UN bodies and the International Court of Justice, and has given evidence in the European Parliament on human rights issues. Katie and Caoilfhionn Gallagher QC have recently authored an independent legal opinion on how a Designated Special Status for Northern Ireland within the EU can be delivered. Conor Patterson is the Chief Executive of the Newry and Mourne Co-operative and Enterprise Agency (an NGO with charitable status whose mission is local economic development) as well as a director (and past president) of Newry Chamber of Commerce and Trade. He has been actively involved in economic/business development in the Northern Ireland/Republic of Ireland east border region since the mid-1990’s. Conor has spoken on the impact of Brexit on the Irish border region in the French National Assembly, the European Parliament and to political representatives from across the European Union who have visited the region and he has given evidence to the Northern Ireland Affairs Select Committee in the British House of Commons and the Irish Parliamentary Committee on the Implementation of the Good Friday Agreement. He has been interviewed by many British, Irish and international journalists. Conor has a Doctorate in Business & Economics from Kingston University in London. He is an MSc Economics graduate of Trinity College, Dublin, and a Chartered Urban and Regional Planner. Conor is accredited as a Mediator by the Mediation Network for Northern Ireland. 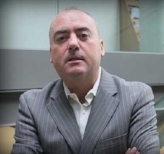 He is a Member of the Institute of Business Consulting, a Member of the Institute of Economic Development and has co-managed a number of EU transnational partnerships. Jonathan Powell was Chief of Staff to Tony Blair from 1997 to 2007 and the chief British government negotiator on Northern Ireland during that time in office. Jonathan was a British diplomat from 1979 to 1996 working on the negotiations to return Hong Kong to China in the early 1980s, the CSCE human rights talks, CDE arms control talks with the Soviet Union in the mid 1980s, and the ‘Two plus Four’’ talks on German reunification in the late 1980s. Since leaving government Jonathan has written, Great Hatred Little Room: Negotiating Peace in Northern Ireland and The New Machiavelli: How to wield power in the modern world. Jonathan has also participated in a number of negotiations between governments and insurgent groups in Europe and Asia working closely with Martin Griffiths at the Centre for Humanitarian Dialogue. Bernard Ryan has been Professor of Migration Law at the University of Leicester since 2013, having previously been Professor of Law at the University of Kent. He is a graduate of University College Dublin and the European University Institute. He has published on many aspects of migration law and policy, including the British-Irish common travel area, migration control at sea, employer checks of immigration status, and the right to remain after Brexit. His current research is concerned with the effects of migration upon employment law, and the implications of Brexit for migration law. In the academic year 2016-2017, he held a British Academy fellowship. He is the co-chair of the Migration and Law Network, which promotes the study of migration law in British universities. Nikos is the Principal Investigator of the project. He is a Lecturer in EU Law at the University of East Anglia. His research interests lie in the intersection between EU law, comparative constitutional law and conflict resolution theory. He has published extensively on Brexit and its effect on the UK territorial constitution. His most recent paper discusses how Scotland and N Ireland could remain in the single market even after Brexit. The paper has been widely sited by academics and discussed by the media in the UK and abroad. Spiegel Online presented it in a front page article. Professor Takis Tridimas is a professor of European law in King's College London. He is a leading scholar in the field of European Union law. He is one of the most frequently quoted authors by Advocates General of the European Court of Justice and, on matters of EU law, by English courts. He joined King’s College in September 2013. Before then, he was the Sir John Lubbock Professor of Banking Law at Queen Mary College, University of London (2004-2013). He also served as référendaire (law clerk) to Advocate General Sir Francis Jacobs at the European Court of Justice (1992-1995). He was senior legal adviser to the EU Presidency (2003) and Chairman of the Committee set up by the EU Council of Ministers to draft the Treaty of Accession of 2003. He has acted as advisor or counsel to many public and private organizations, including the European Central Bank, the European Parliament, the European Commission and the EU Court of Auditors. 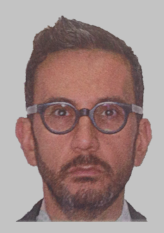 Jamie Trinidad is a Fellow and Tutor of Wolfson College, Cambridge, and a Fellow of the Lauterpacht Centre for International Law, Faculty of Law, University of Cambridge. 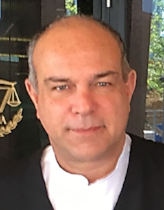 He is the author of Self-Determination in Disputed Colonial Territories (Cambridge University Press, 2018) and has published on a wide range of international legal topics in leading journals. He is also a practising barrister, and regularly advises Her Majesty’s Government of Gibraltar on international legal matters. He holds a PhD from Cambridge. Professor Theodore L Turrocy is a Professor in the School of Economics, and currently the Deputy Head of the School (from 2015) and Associate Dean for Research in the Faculty of Social Sciences (from 2016) at UEA. His research programme extends the standard methods of economic analysis by taking account that the processes we use to make choices can affect not only what choice gets made, but how we feel about the outcomes of those choices as well.